WHIPPANY, N.J., Feb. 7, 2019 /PRNewswire/ -- Bayer U.S. announced today that Raymond F. Kerins, Jr., Senior Vice President of Corporate Affairs, is the new Chairman of the U.S. Chamber of Commerce's Global Innovation Policy Center (GIPC). In his new role, Kerins will oversee a group that represents many of the most innovative and creative sectors in the global economy – including media and entertainment, sports, technology, life sciences and advanced manufacturing – and use the insights provided by this group to help shape the U.S. Chamber policy stances on issues of intellectual property-led innovation and creativity. Kerins formerly held the post of Vice Chairman of GIPC, a role in which he served as a leading voice in the Center's efforts to support and preserve the integrity of intellectual property standards. 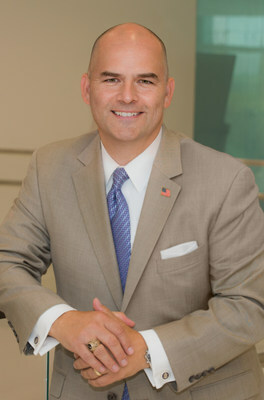 Kerins, who joined Bayer in 2013, has more than two decades of experience in helping global corporations communicate effectively and improve their reputations. Prior to joining Bayer, Kerins served in senior public affairs posts at Pfizer and Merck. "Ray Kerins has the kind of passion and dedication that inspires others and generates true impact," said David Hirschmann, President and CEO of GIPC. "With his work at Bayer, Ray knows better than almost anyone the challenge of developing innovation and transforming it into a life-saving product that can reach billions of people. Ray's leadership will be pivotal as GIPC works to paves the way for innovators and creators to succeed around the world." Kerins said he looks forward to taking on the responsibilities of the Chairman post and looks forward to continuing GIPC's formidable efforts on behalf of innovators. "Innovation is crucial to the development of the breakthrough technologies and medical treatments that save and improve lives around the world," Kerins said. "But without a strong system that protects patents, trademarks, copyrights and trade secrets, these lifesaving innovations are imperiled. GIPC is an important defender of the IP rights that allow innovation to thrive, and I am incredibly proud and humbled to serve in this new role." In his first public appearance as the GIPC Chairman, Kerins will give featured remarks on the launch of the 2019 U.S. Chamber International IP Index "Inspiring Tomorrow." The 2019 Index highlights IP as the driving force behind transformative growth of innovation and creativity in global markets and benchmarks the IP framework in 50 global economies. Kerins has received recognition numerous times in the past for his outstanding achievements in public relations. He has garnered such honors as the "2017 Outstanding In-House Professional Award" by PRWeek Magazine and the "2010 Public Relations Professional of the Year" by PRWeek Magazine. He also currently serves on the U.S. Center for Disease Control & Prevention's Business Roundtable on Global Health Threats. A lifelong New Yorker, Kerins is a graduate of Iona College, where he received B.A. and Master's degrees.